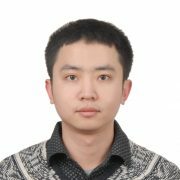 Fei Tian is currently an Associate Researcher in Machine Learning Group, Microsoft Research Asia (MSRA). He obtained his PhD degree majoring in Computer Science in July, 2016, from a joint PhD program between University of Science and Technology of China and MSRA, supervised by Dr. Tie-Yan Liu and Dr. Enhong Chen. His research interests mainly lie in deep learning and reinforcement learning, especially their applications for text mining tasks. For more information, check his personal homepage: https://ustctf.github.io/.